Mainstream journalism is in its death throes. In the information age, consumers just won’t pay for tired news content extolling the virtues of big-government establishment institutions. ‘Mainstream news’ is becoming so marginalized that it isn’t even, well . . . mainstream anymore. It is the voice of a small minority of elitist central planners. And virtually every adversarial inquiry into the funding behind mainstream (generally meaning government supporting and supported) journalism has found that much mainstream journalism is secretly bought and paid for by government agencies. But now mainstream news’ loudest gatekeeper, who is publishing a book called “Merchants of Truth: The Business of News and the Fight for Facts,” is identified as a two-bit plagiarist and a downright sloppy reporter. 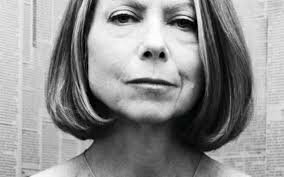 Jill Abramson attacks and condemns modern alternative news sources as scandalous, simplistic and headline obsessed. She insists on “standards” and laments the job-hunting difficulties of Columbia School of Journalism grads. But according to Michael Moynihan of Vice, Abramson’s book is little more than a collection of stolen paragraphs, unchecked sources and outright untruths. In order to prevent identity theft, identity deception of all types, and content theft we ask users that have an online identity, post for a website or blog, are creators of art and celebrities of all notoriety to verify themselves. Hello @rogerroots! This is a friendly reminder that you have 3000 Partiko Points unclaimed in your Partiko account!